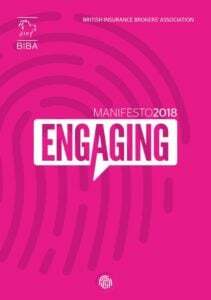 We are delighted to be part of BIBA’s 2018 Manifesto by providing one of the case studies which demonstrates the value of using a specialist Broker and helping customers get the cover they need. In 2014, Dee was diagnosed with a Neuroendocrine Tumour (NETs) a rare condition where tumours can appear in different areas of the body that form the neuroendocrine system, including the stomach, bowel and lungs. Her life was changed completely; the tumour was found in her small intestine and had spread to her liver and she was told it was incurable, inoperable but manageable. She was also advised not to travel due to the aggressive treatment she faced – doubly devastating because she and her husband both had a passion for travel. However, undeterred, once her condition went into a managed phase, nine months later, she felt sure her travelling could resume. However she hadn’t realised how difficult it would be to obtain the insurance she needed. She tried all the usual outlets but was faced with insufficient cover and/or prohibitively high premiums. Sometimes after many minutes of medical screening, she would simply be told the company could not progress her application. Fortunately, Dee was signposted to BIBA member, PJ Hayman’s Free Spirit scheme, which was able to help. One month after having radionuclide therapy, she was on a cruise. Knowing she was fully covered gave Dee the confidence to travel further. 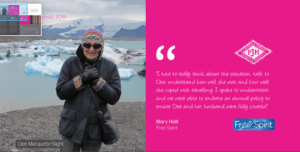 Talking about Dee’s travel ambitions led Free Spirit to look for an annual travel insurance solution to save her both time and money. Using their experience and understanding of Dee’s individual circumstances, an annual policy was made available and adapted to give Dee full cover for her condition regardless of the number of trips she made in a year. Just a reminder that the Free Spirit scheme is available on the PJH Broker Portal. If you would like a login click here or contact the Broker Team on 02392 419 050 or email info@pjhayman.com. For assistance with your client’s travel insurance requirements, please contact the Broker Team on 02392 419 050 or email info@pjhayman.com – we’ll be delighted to help!